Uniqueness of Armenia stands on several columns, but the most famous are – the fascinating mountainous nature, the national culture and traditions and ancient Christian heritage. This tour will help you to discover a bit from everything. DAY 1: Arrival at Yerevan Zvartnotc international Airport, transfer to the selected hotel. Check in and rest. DAY2: After breakfast at the hotel. 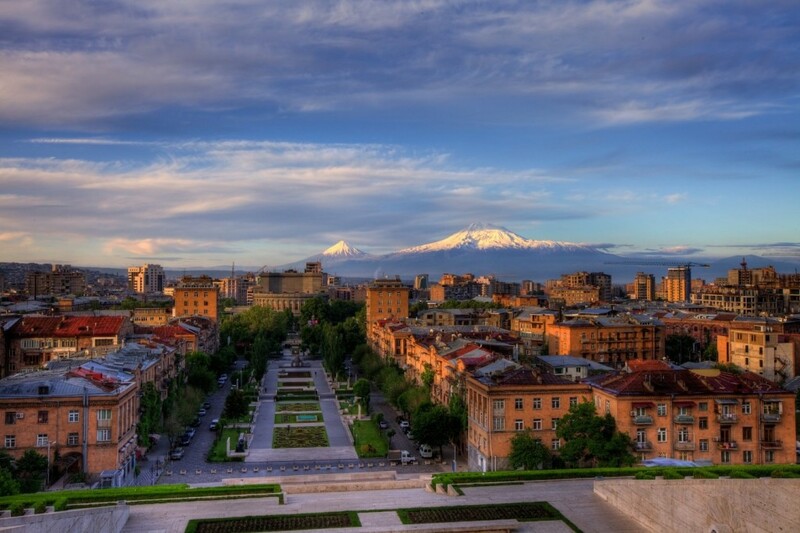 City tour including main highlights of the Yerevan city (Panorama Ground, Memorial with the museum of the victims of the genocide, main streets and squares). Continue the tour program and visit Matenadaran – institute of scientific research as well as depository of ancient Armenian manuscripts (a UNESCO World Heritage Sight). Lunch at the local restaurant. Back to the hotel. Free time to explore the city independently . Welcome dinner. O/N in Yerevan. DAY 3: Breakfast at the hotel. Drive to Echmiatsin – ancient capital of Armenia and the center of the Armenian Apostolic Church and the Holy See of the Supreme Catholikos of all Armenians. Visit St. Hripsime Church and the Cathedral of St. Echmiatsin there – UNESCO World Heritage Sight.Visit Zvartnotc temple of celestial angels.Then continue our tour with a visit to Garni fortress and its Hellenistic temple, lunch at Garni and master class in baking traditional Armenian bread Lavash. 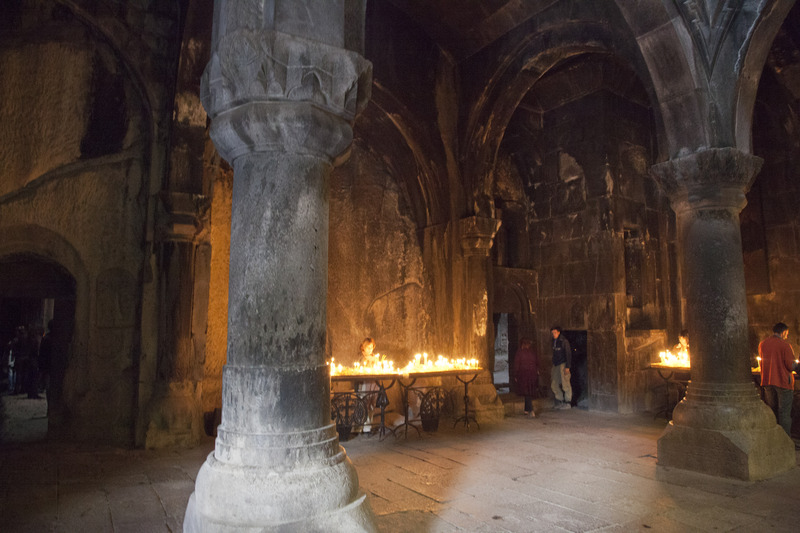 Then visit Geghard cave Monastery a UNESCO World Heritage Sight. O/N in Yerevan. DAY 4: Breakfast at the hotel and leave for North of the country. Visit the medieval fortress of Amberd which is located on the slops of Mt. Aragatc. Optional short hiking in the gorge of the river Amberd . After visit two beautiful Monasteries of Ohanavank and Saghmosavank located in the Kasakh river gorge. Hear we’ll have our lunch and enjoy some rest in the restaurant located in the picturesque gorge of the river Kasakh. Alternate choice is have a picnic lunch in Amberd (if weather permitting). Return to Yerevan. O/N in Yerevan. 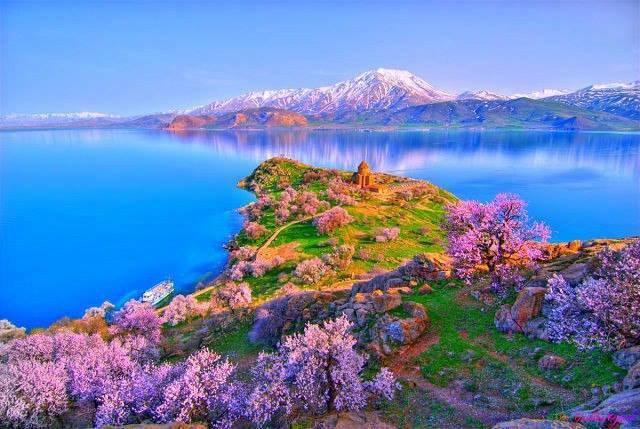 DAY 5: After breakfast at the hotel we leave for full day tour to Tsakhgadzor (valley of flowers) with Kecharis Monastery then Lake Sevan. You will spend some time at the lake peninsula exploring its wild nature and the 9th century Monastery . Leave to visit Noratus village located nearby the lake, which is far famous for its beautifully carved Khachkars – Stonecrosses. Return to the capital. O/N in Yerevan. DAY 6: Today will enjoy by exploring the museums of Yerevan: visit the most outstanding Art Museum (National art Gallery)– the third largest after Hermitage museum of St. Petersburg and the famous Tretyakov Gallery. Then visit the Museum of Armenian History. Of the large number of other museums you will be given an opportunity of choosing one or two additional ones. O/N in Yerevan. DAY 7: Breakfast at the hotel. Drive to Khor Virap Monastery with stunning view of Mt Ararat. Visit Noravank monastery this is one of the masterpiece of Armenian architecture then visit famous Areni winery see the wine making process and taste one of the best wine in the country .Back to Yerevan. O/N in Yerevan.